G $!! Where do I begin with this strong, funny, dancing queen. You make everyone’s day brighter ❤️ Keep being you! And killing it in each and every WOD. 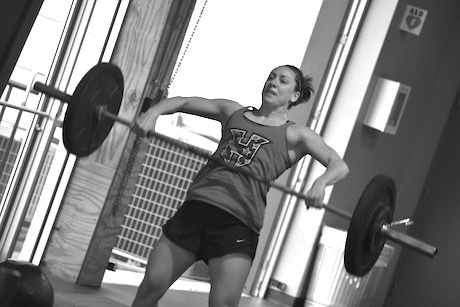 Gemma brings her best everyday and that doesn’t just mean CrossFitting. She’s a natural athlete with great work ethic but she’s also a great person with natural personality to share. She brightens up the gym the second she walks in. Keep schoolin’ us! 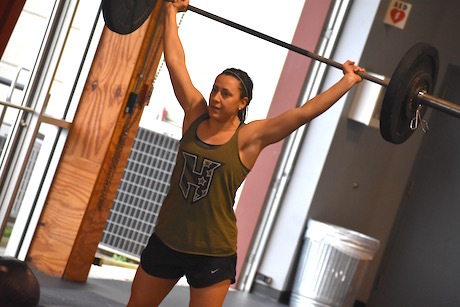 This CrossFit stud is the embodiment of positivity and fun! Gemma has the best attitude, is always super kind and friendly, and makes everyone smile. 😁 But don’t be mistaken — she is a stellar athlete who can outrun, outlift and outlast just about anyone who is up for the challenge. Watch out when Gemma shows up ready to throw down! Bad to the bone Gemma! Always working hard at CF! Way to go professor! Truly a CrossFit Gem even if she is a Penn State Grad. Keeping doing you! Now, Dat’s a Nitty LION! Gemma!! Always an entertaining time getting to watch you. You’re a great athlete with a shining personality, keep killin it! Gemma is one awesome lady. She is always working hard, and you will always find her smiling, laughing, and dancing. Keep it up stud! Gemma, quite the stud always motivating and pushing to beat me! Gemma is one amazing athlete and friend. Love when we get to WOD together and I let her beat me 😉. Keep being awesome Gemma boo. Nate must be getting sick. There is no way that CJ could beat him without the mustache. No way. Can’t do it! May need a recount on CJ’s stats. Gemma!!! Love thowing down with this girl. She is tried and true and I’m thankful she calls me friend. ❤️ you G.
229 Rx did not have a very good plan..